Nationally recognized specialists in veterinary critical care lead our ICU team, providing compassionate critical care 24/7/365 to pets recovering from trauma, surgery or acute illness. 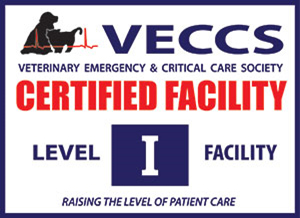 As a VECCS Certified level I emergency and critical care facility, you can be sure that Avets’ ICU offers the best critical care available for your pet. Our "one hospital model" ensures a multidisciplinary approach to your pet’s ICU experience, with experts from different specialties weighing in on each patient daily. Communication and collaboration is one of our greatest resources in caring for your pet.